Holy moly, I read a book. A book that does not rhyme, does not have fuzzy animals and is not bright colored. Woohoo. It took a couple months but I finished it and loved it. According to goodreads... "For a mother, life comes down to a series of choices. NIGHT ROAD is vivid, emotionally complex novel that raises profound questions about motherhood, identity, love, and forgiveness. It is a luminous, heartbreaking novel that captures both the exquisite pain of loss and the stunning power of hope. This is Kristin Hannah at her very best, telling an unforgettable story about the longing for family, the resilience of the human heart, and the courage it takes to forgive the people we love." Night Road took me a bit to get into. After the first background bit, I was hooked and did not want to put it down. 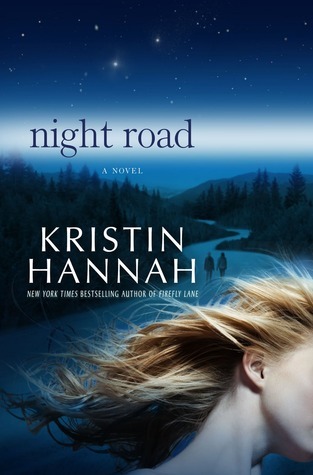 Like all of Kristin Hannah's other books, I really enjoyed it.